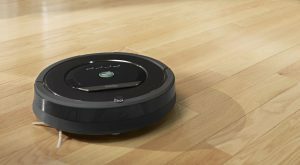 If you’re using a Roomba to keep your house clean, you may be inadvertently giving iRobot, the maker of the device, valuable information about your house and its possessions than you ever intended to. 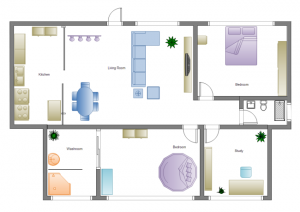 The important fact to know is that some models of Roomba “map” the rooms they work in. This mapping allows the Roomba to “learn” the layout of your house, where furniture exists that is must navigate around, and so on. This permits the Roomba to clean more efficiently, and to keep track of changes. All in the interest of providing a more efficient service. As it often does in such cases, the data collected by Roomba for this limited purpose may find its way to other uses, ones that may be more problematic. A recent article in the New York Times makes the case that iRobot is reserving the right to use this mapping data for other purposes. While iRobot discounts the fears that such data re-use might raise, their wording causes concern. No plans now, but who knows what the future brings? In case you are tempted to think “what’s the problem here?”, consider this. That’s far beyond what I, as a Roomba user, might imagine the otherwise relatively benign and uninteresting information about my house’s floor plan might reveal about me. Well, let’s imagine that you bought your house from someone who had used a Roomba. Unless you plan to demolish and rebuild, the floor plan hasn’t changed since data on it was collected by the previous homeowner. Without restrictions on the use of such data–and knowledge by iRobot that the house no longer is in the possession of the person who may have originally given consent for such data collection–you’re exposed, perhaps without your knowledge. As in any other cases, the ability of new technologies to collect data that can be mined for information about us may require careful reflection and judicious application of regulation to avoid unintended encroachments on our civil liberties. For now, I’ll keep using a broom and my unconnected Dyson.